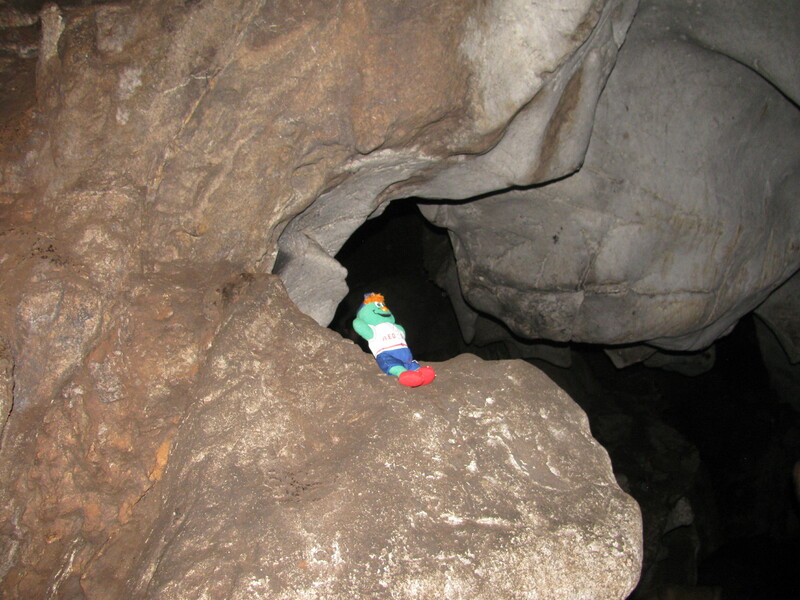 Wally has found himself in a dark cave in the middle of nowhere in Northeast Thailand. This particular cave is one that you can technically walk all the way through if you don’t mind crawling through tiny openings or climbing up boulders and jumping to others with foot long gaps that have jagged and deep landings between them. 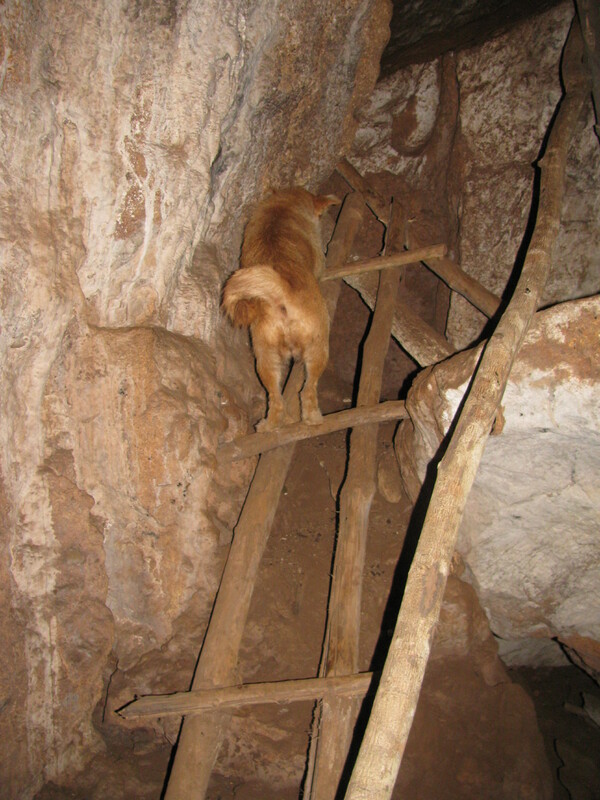 We followed our guide’s dog as he braved all these obstacles and did the same. I required several people’s hands to ensure I would not fall to my death. The cave was in our trekking guide’s village (a Karen Village) about an hour car ride outside of Pai (or a full day’s hike up and down hills). Wally was excited to see daylight again when our adventure inside was complete. I think once one finds oneself in a cave with a dog for a guide, one can figure that their judgement has already faltered somewhere. We just got to Luang Prabang where you at?